Let us help you realize your Opera Santa Barbara legacy. Learn how to name Opera Santa Barbara as a beneficiary of your will, find out how retirement plans make the most highly tax-efficient bequest to charity, and be inspired by the stories of some of our bequest donors. You can make a bequest to Opera Santa Barbara for a percentage of your estate or a specific dollar amount. You can designate your bequest for general use or you can restrict its use. Many individuals establish endowments that honor the memory of a family member or another loved one. These endowments live forever since only the income is used annually. The following includes several examples of suggested bequest wording to benefit the Opera Santa Barbara. Each individual situation is unique and, therefore, these examples include only some of the possible gift opportunities. We encourage you to share your final will provision with the us to ensure that your wishes will be properly followed and recognized. I give, devise, and bequeath to Opera Santa Barbara, a not-for-profit organization located in Santa Barbara, California, _______ percent (%) of the rest, residue, and remainder of my estate as an unrestricted gift to be used at the discretion of the Board of Opera Santa Barbara for the general purposes of the organization. I give, devise, and bequeath to Opera Santa Barabara, a not-for-profit organization located in Santa Barbara, California, _______ percent (%) of the rest, residue, and remainder of my estate to establish the ________________ __________________ ENDOWED FUND. The principal of this Fund shall be invested as part of Opera Santa Barbara’s permanent endowment and in accordance with its policies. The income therefrom is to be used by the Opera Santa Barbara for _______________________________ _______________________________. Contributions may be added to the Fund at any time. If changed circumstances should at some future time make it impractical to continue using the income from the Fund for the purpose designated, then Opera Santa Barbara’s Board of Directors may redesignate the purpose for which the Fund’s income may be distributed, provided that the Fund shall continue to bear the name ________________ ENDOWED FUND, and that the amended terms shall adhere as closely as possible to my original intent. I give, devise, and bequeath to Opera Santa Barbara, a not-for-profit organization located in Santa Barbara, California, the sum of $____________ in cash or in-kind (or ____________ shares of _____________ stock) to be used at the discretion of the Board of Directors for the general purposes of Opera Santa Barbara. I give, devise, and bequeath to Opera Santa Barbara, a not-for-profit organization located in Santa Barbara, California, the sum of $____________ in cash or in-kind (or ____________ shares of _____________ stock) to be used for __________________________________________. 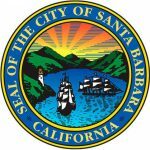 If changed circumstances should at some future time make it impractical to continue using the income from the Fund for the purpose designated, then the Opera Santa Barbara Board of Directors may redesignate the purpose to adhere as closely as possible to my original intent. Unrestricted: The most useful type of bequest is unrestricted, allowing the funds to be allocated by Opera Santa Barbara wherever the need is greatest. Restricted: You may designate your bequest to support a special program or purpose that reflects your personal or professional interest (for example: funding singer fees, outreach programs for youth, or sponsorships of opera productions). If the bequest is restricted to a specific purpose, it is important that the following wording be added at the end of the provision. This will ensure that, in the remote possibility a specified purpose may cease to need funds in the future, an alternate use for the bequest may be determined. Donors are encouraged to call the Opera Santa Barbara at (805) 898-3890 before writing a will that includes any type of restriction on a bequest.